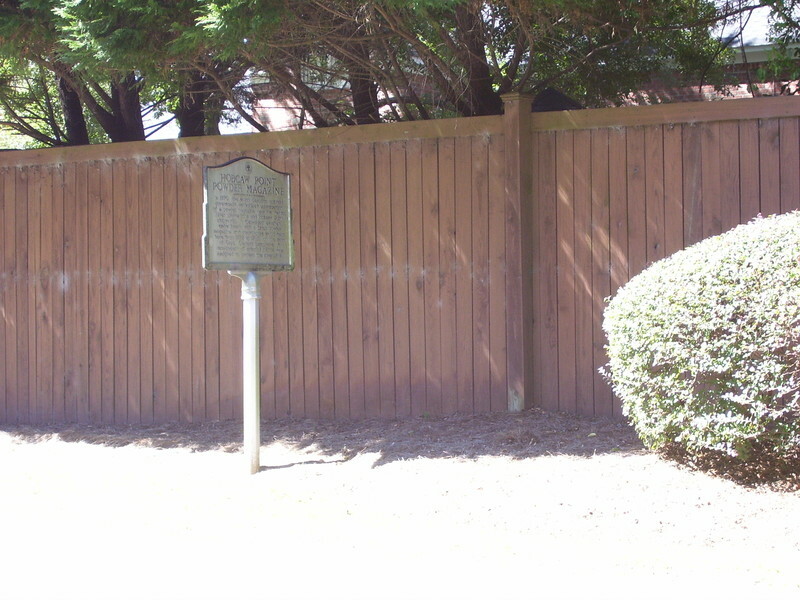 In 1770, the South Carolina colonial government authorized construction of a powder magazine near the Wando River plantations and Hobcaw Point shipyards. A four-sided earthen embankment with a brick powder magazine and guardhouse stood near here from 1772 to 1783, on the land of Capt. Clement Lempriere. A detachment of colonial militia was assigned to protect the magazine. 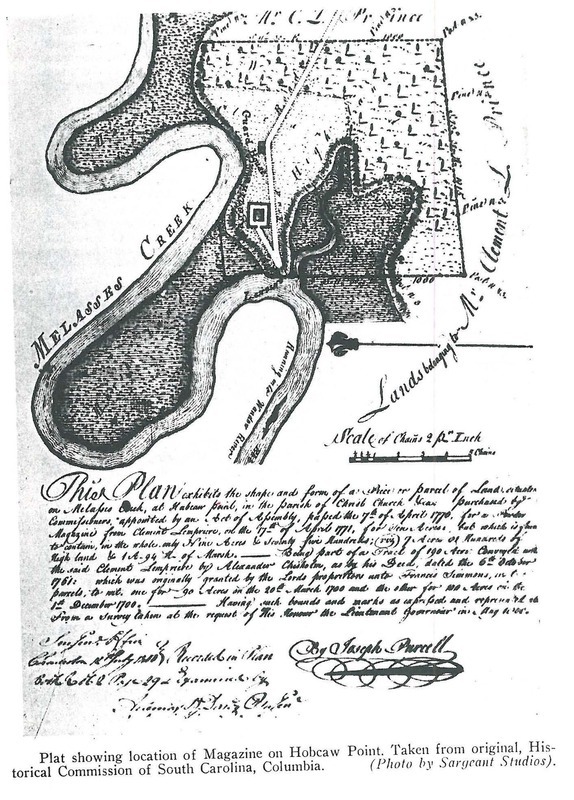 Town of Mount Pleasant Historical Commission, “Hobcaw Point Powder Magazine,” Mount Pleasant Historical, accessed April 21, 2019, http://mountpleasanthistorical.org/items/show/27.